Maryland rockers CLUTCH are delighted to unveil another brand new track from their forthcoming album, “Book of Bad Decisions”, which is released on September 7th. 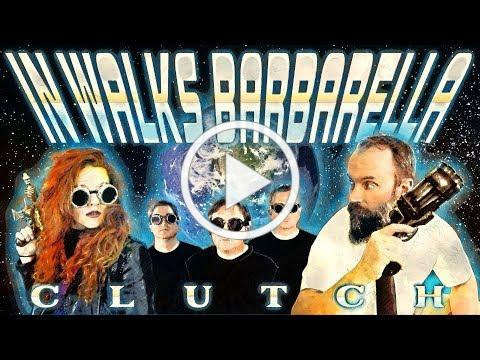 Watch the video for the new song, titled “In Walks Barbarella”, on YouTube at https://youtu.be/rZ9GSFZZY6c. In addition, a very limited 7” Picture Disc in a transparent PVC pocket will hit stores today. “In Walks Barbarella” is on the red & blue side and previous new single “Hot Bottom Feeder” on the reverse, green side. To order a physical copy of the new single directly from CLUTCH go to www.clutchmerch.com. 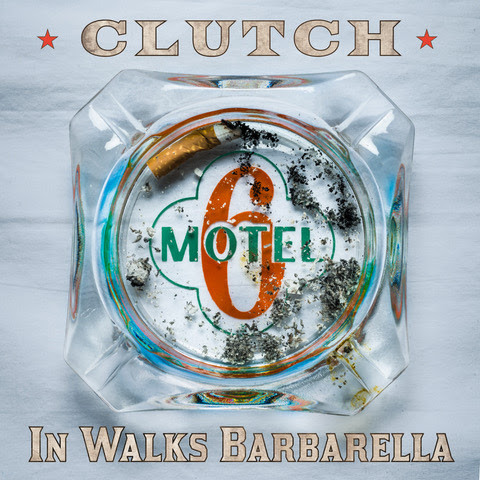 CLUTCH’s song “In Walks Barbarella” is two stories, woven into one. An adult man talks to a boy, maybe his son, about events that occurred 20 years ago. Now add visions of Jane Fonda as Barbarella, ray guns, and tractor beams. It’s one of Book of Bad Decisions’ signature songs and it includes a horn section that truly turns this song into weaponized funk. As the September 7th release date of “Book of Bad Decisions” approaches, this weekend is the final weekend to purchase CLUTCH pre-order bundles directly at www.clutchmerch.com. Bundle sales will close Wednesday, August 29th, and stand-alone items will then be available. CLUTCH will spend September and October touring the USA with special guests Sevendust and Tyler Bryant & The Shakedown, plus a date in California with System Of A Down and a number of US festivals. The band then head over to Europe, hitting the UK for a festive December tour, with support from The Picturebooks and The Inspector Cluzo. For more information, visit the band’s website: www.pro-rock.com.